The common interpretation (regardless of whether Foster had any insight into a grand sequel trilogy plan, which is doubtful, given no such plan existed) is that the trilogy is taking us into an era where the good-evil binary of the Force becomes more complicated and “grey”, and a new solution to the conflict must be found. But read the poem again. “Resolving” grey does not mean grey is the answer – it means grey is the problem which must be resolved. A closer reading of the sequel trilogy reveals that it may be the clearest portrayal of the battle between good and evil in all of Star Wars. So. Farewell then, Kanan Jarrus, Jedi Knight. 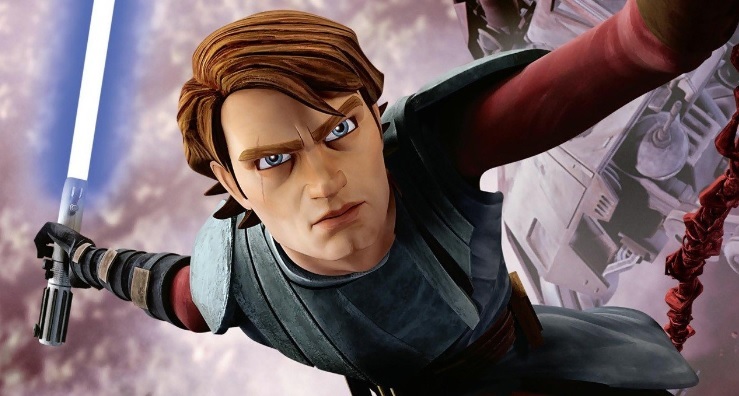 Caleb Dume’s sacrifice in “Jedi Night”, holding back the fire so his family can live to fight another day, stands with the final acts of the greatest masters, Obi-Wan Kenobi and Luke Skywalker. His selflessness will surely inspire the Ghost crew to find some measure of victory, holding back the spread of darkness, and inspiring others in turn. 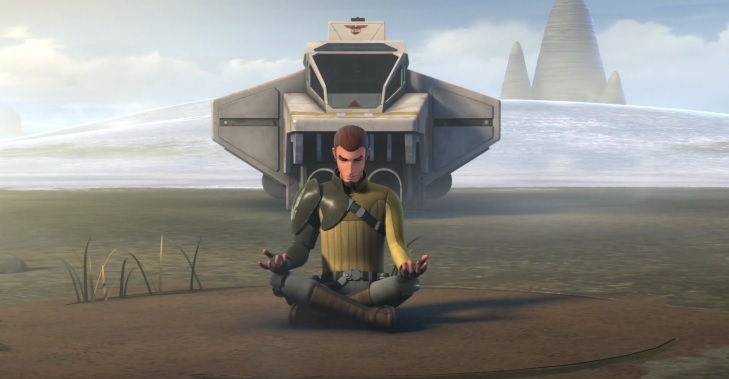 But Kanan’s journey is also unique, and in the current era of Star Wars “canon”, he stands as the first (chronologically) to forge a path to becoming a Jedi without the structure of the old Order or the guidance of a Master. His knighting in “Shroud of Darkness” raises some interesting questions – what is Kanan’s essential “Jedi-ness,” the thing that earns him this title without the structured progression of Padawan-Trials-Knight-Master? What precedent does it set for Jedi who follow similarly unconventional paths, even decades later? And what does it say about Kanan the person that he achieved all this without that structure? Paths of Redemption: How Do You Solve A Problem Like Kylo? The ending of The Last Jedi brings the sequel trilogy’s three main characters to the end of the quests for identity and belonging they began in The Force Awakens. Finn has learned to fight for a cause (Phasma’s death bookending his refusal to execute the Jakku villagers), while Rey has found her place as heir to the Jedi and beacon of hope for her new family in the Resistance. Kylo Ren, meanwhile, ascends from the conflicted former Ben Solo, eager to conclude his grandfather’s work and destroy the Jedi, to a status Vader never achieved – dictator of the galaxy. Twisted with hatred, as TLJ closes he seems more consumed by the dark side than ever, having now refused two golden opportunities to save himself. The response of many viewers is that he is now irredeemable. Rian Johnson believes Kylo can still be redeemed, that he “isn’t as bad as Vader”, while acknowledging that this decision is for JJ Abrams to make. The comparison to Vader, though, is more complicated than Johnson suggests, and if TLJ tells us anything, it is that different rules apply to Kylo Ren, and we should not expect him to follow the same path.